In late 2017, Congress signed into law the Tax Cuts and Jobs Act which changed the tax brackets starting in 2018, removed exemptions, increased the standard deduction, and limited the State and Local Tax deduction. Luckily, they left the itemized charitable deductions relatively alone. Previously, if you itemized, you were able to deduct most of your state taxes. Now, however, the state and local tax deduction caps at a mere $10,000. In response to this new federal law, California almost immediately announced that they had a workaround. They declared that if you donate to a state-run charitable fund, you could get tax credits equal to your donation. This California proposal effectively meant that, by writing your state tax check out to a different location, you would be able to get the federal state tax deduction through your charitable deduction line. The concept of donating to get a state tax credit was previously a legal maneuver utilized in many states. In Virginia, both the Neighborhood Assistance Program (NAP) and Education Improvement Scholarships involved donating to charity and receiving state tax credits of up to 65% of the value of your gift. Receiving something in return for a gift is called a quid pro quo. Previously, tax credits were not considered a quid pro quo, possibly because most taxpayers would break even on their taxes by receiving tax credits, and tax credits cannot be exchanged for other goods and services. This closes the loophole, and might mean that if you take tax credits and pay your state taxes with them, you must reduce your charitable deduction by the amount of credits you received. For example, if you received credits worth 65% of your gift, you might only deduct the 35% you didn’t get credits for on your taxes. The proposed regulations thus allow taxpayers to disregard dollar-for-dollar state or local tax deductions. However, the proposed regulations state that, if the taxpayer receives or expects to receive a state or local tax deduction that exceeds the amount of the taxpayer’s payment or the fair market value of the property transferred, the taxpayer’s charitable contribution deduction must be reduced. The Treasury Department and the IRS request comments on how to determine the amount of this reduction. To provide consistent treatment for state or local tax deductions and state or local tax credits that provide a benefit that is generally equivalent to a deduction, the proposed regulations include a de minimis exception under which a taxpayer may disregard a state or local tax credit if such credit does not exceed 15 percent of the taxpayer’s payment or 15 percent of the fair market value of the property transferred by the taxpayer. The de minimis exception reflects that the combined value of a state and local tax deduction, that is the combined top marginal state and local tax rate, currently does not exceed 15 percent. Accordingly, under the proposed regulations, a state or local tax credit that does not exceed 15 percent does not reduce the taxpayer’s federal deduction for a charitable contribution. The Treasury Department and the IRS request comments on this proposed exception. The new IRS ruling takes effect on gifts made after August 27, 2018, even though the rules are not yet finalized. 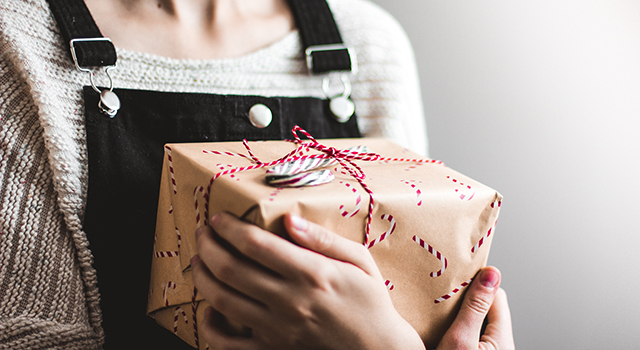 So even though we aren’t sure exactly how they are going to implement it and what exceptions they are going to apply, we think you should assume that this proposed rule will, in general, remove the federal charitable deduction for gifts which receive tax credits. We recommend that you consider your gifting strategy accordingly. While you should always give based on the worthiness of the cause, you now won’t receive extra rewards for doing so. If you’re interested in reading more details, see you can visit the Federal Register for the full text of the rule change.